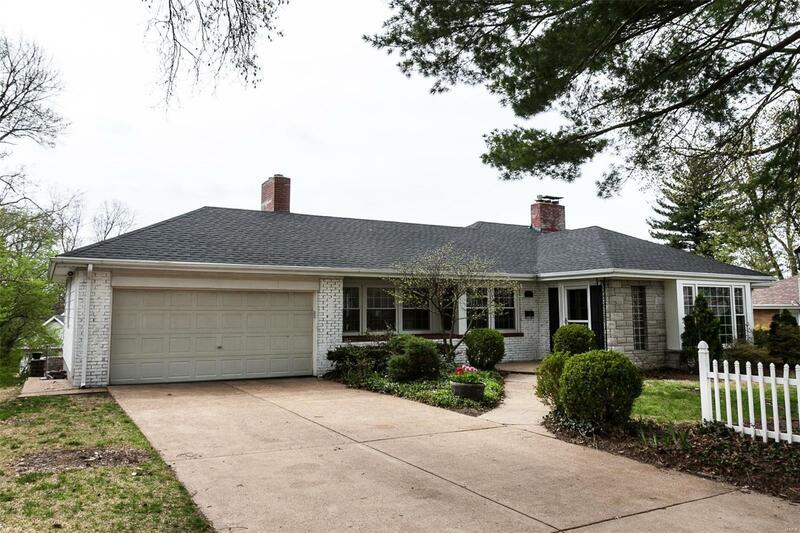 Welcome to this Southwest Webster Groves Ranch Home! This home has hardwood floors, 3 bedrooms, 3 bathrooms, 3 fireplaces and a 2 car garage on around 1/3 acre lot! Over 1800 square feet on the main level! Large living/rm with fireplace opens to dining room and next to family room with another fireplace, and lots of windows. The basement has a large finished recreation area with another fireplace, bath and lots of storage. You can access the back yard from basement. The back yard has a patio area with a stone fireplace and some fencing. Newer roof (3/19) and newer windows, great location!